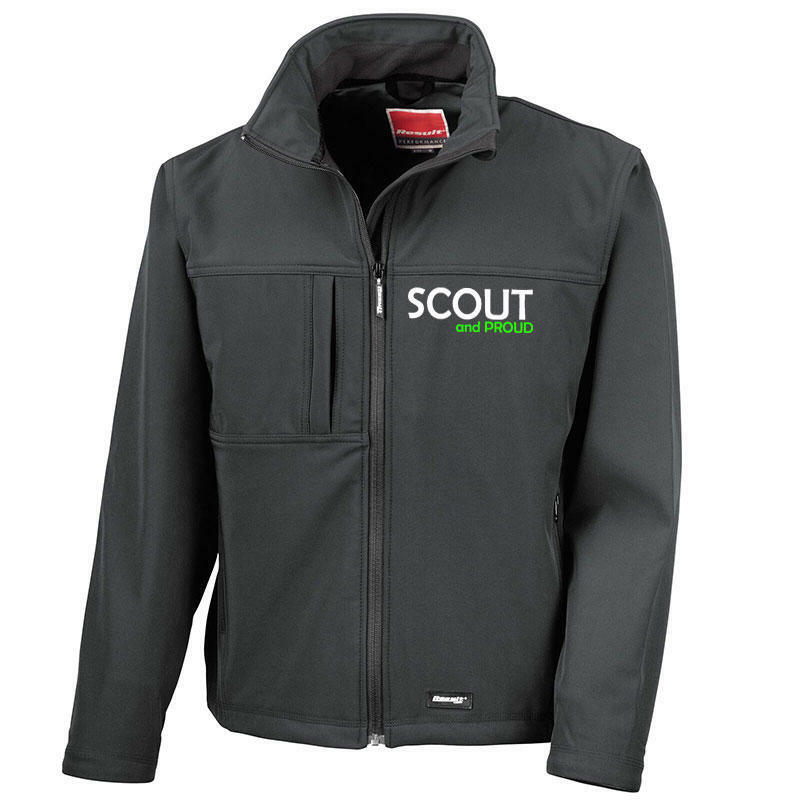 A black softshell jacket, featuring the wording 'SCOUT and PROUD' in our Varsity style, embroidered to the left breast. Available in sizes S - 4XL, please select the size required from the dropdown menu. Outer layer: 93% Polyester, 7% Elastane. Mid layer: TPU waterproof, breathable and windproof membrane. Select... S - 38" M - 41" L - 44" XL - 46" 2XL - 48" 3XL - 50" 4XL - 52"